NorseCare’s £20,000 Comic Relief grant to assist in transforming wellbeing culture through Oomph! We are excited to announce our new partnership with NorseCare, who have won a £20,000 grant from Comic Relief to develop the skills and confidence of staff in five of their residential care homes, through Oomph!. This will support a change in culture and create vibrant, creative communities. Residents will help design and take part in person-centered activities and exercise, having fun, keeping healthy and active and playing a valuable part in the life of their community. NorseCare Staff will be trained by us to provide sessions at the homes which will focus on ensuring people are happy and engaged in purposeful activity that they enjoy. Some expected outcomes are that the number of falls people have may reduce, their sleeping patterns may improve and residents and staff will have more fun together. Up to 150 residents plus 200 NorseCare staff will be invited to take part. Families will be encouraged to participate in the programme, resulting in improved engagement and relationships resulting in the creation of lovely memories together. All of NorseCare’s other homes will benefit over time as the learning is cascaded. “Champions” from the 5 homes in the initial project will share what they learn from the pilot across all NorseCare care homes and housing with care schemes. Supports your CQC rating – Care partners’ ratings have improved due to a well planned activity and exercise programme for residents. However, wellbeing in care is constantly evolving and driving innovation in the sector. Community Partnerships – particularly intergenerational – are providing essential social interaction opportunities: Homes are now running Dementia Friends sessions for schools, creating family support groups and hosting activity spaces – such as Mums & Tots, or Knit & Natter. Smart use of Technology: Technology can create person-centred experiences so that residents are still able to enjoy events using virtual reality tours and bringing experiences to them. Furthermore, care and activity planning software is enabling staff to improve support via instant access to information. Getting Outdoors more: Accessible, usable outdoor space is becoming essential. Regular outings are now in high demand – in 7 months our Oomph! Out & About service is already taking 1000+ residents out each month! Residents and their families are seeking engaging and culturally relevant experiences to enjoy beyond the home environment. Providing Resident Ownership: This prompts a sense of purpose and achievement, whilst keeping minds and bodies active. 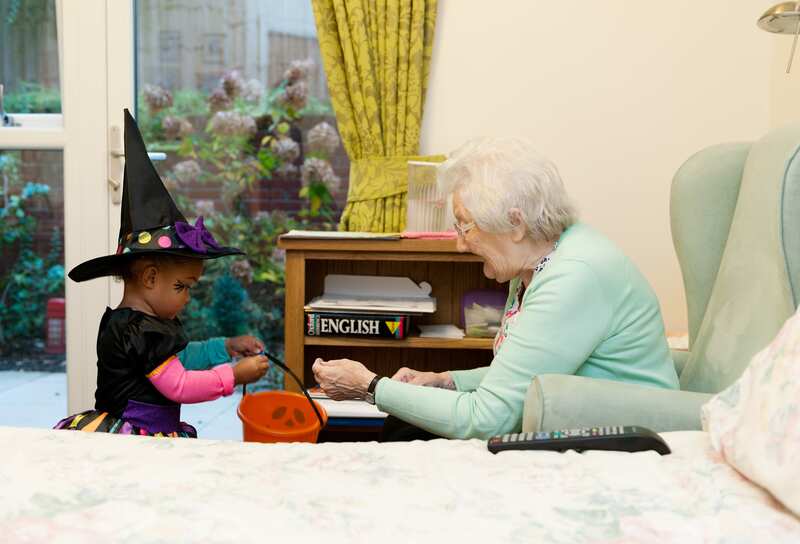 Examples of this within our partner homes include an ex-librarian resident running a mobile library in the home for others, and a resident becoming chairman of the Resident Committee, with high engagement and peer-to-peer interaction. A wellbeing culture in the care environment provides a true quality of life for elderly residents, enhanced job satisfaction for staff and a benchmark for business success. We are excited to be working with award-winning care home group Balhousie to put some Oomph! into the sector, making them the first organisation in Scotland to sign up to an activity programme with a difference. 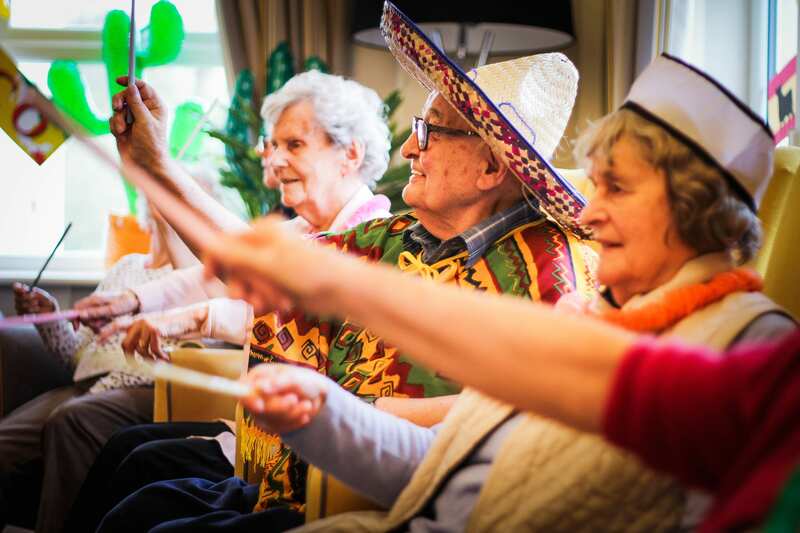 Balhousie Care Group operates 25 care homes in Scotland, and has linked up with us to deliver engaging exercise and activity programmes for residents. 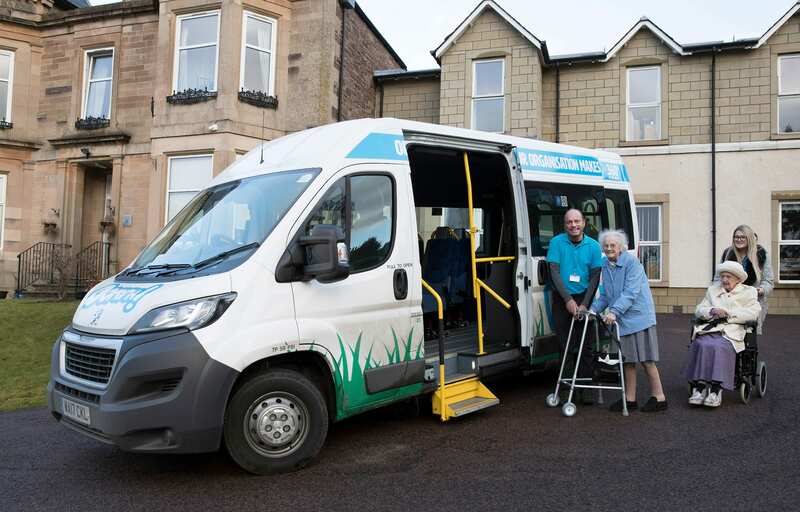 Our mission is to improve the wellbeing of older adults, and we will work with Balhousie’s 25 care homes, offering fun exercise and activity sessions, as well as monthly trips out for residents, to a wide range of destinations in customised minibuses. The trips are personalised and include intensive training by Oomph! staff within each care home. The collaboration is the latest move in Balhousie Care Group’s mission to be a trailblazer in the care home sector, delivering individualised care for residents. The Perth-based group has been tackling issues such as dementia and loneliness in innovative ways, from virtual reality technology to therapy with pets. Balhousie also ensures that its residents and family members have a say in their care, and care strategy. Oomph! has already been delivering services in England with great success, set up by founder Ben Allen – a specialist in exercise for older adults – after he realised a gap in the market for providing better adult social care.